When you think of a tile roof, chances are you imagine the classic terracotta clay tiles. However, tile roofing comes in an assortment of looks that have varying degrees of durability, life span, and weight. Because of their durability and advertised longevity, many people have fallen for the myth that their tile roofs are maintenance free. While tile offers many benefits, it is worth noting that regular maintenance is still required to keep your roof in good, working condition. 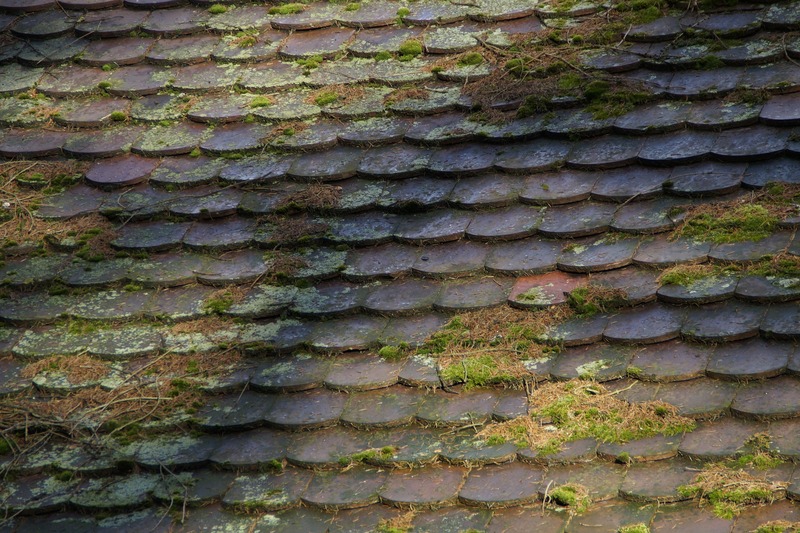 Just like with asphalt and metal roofs, you should periodically have your roof cleaned to remove organic matter and debris, lichen, moss and algae. Just like your concrete sidewalks and driveway, prolonged exposure to the elements leads to wear and tear. Without regular removal of this debris, water has the opportunity to sit stagnantly on the concrete or clay and absorb into the tile itself. Over time, this wreaks havoc on the underlayment that sits just under the tile. As the underlayment begins to leak, felt edges begin to rot, eventually leading to wood rot on the fascia boards underneath. Valleys are particularly susceptible to debris build up. This causes debris to fall under the tile and create a dam that decomposes, rotting away the felt that protects your roof’s structure. Your tile roof may appear clean, but underneath your roof may have mounds of rotting organic matter. Many Do-It-Yourselfers attempt cleanings and maintenance themselves, but with tile it’s best to let the professionals handle it. Walking on tile can chip or shatter them, causing further damage to the whole roofing structure. Additionally, concrete and clay tiles are slippery when wet. Securing an anchor and having a support system to help prevent falls is a must. With proper maintenance and care, a tile roof can keep your home dry and beautiful for decades. At HOMEMASTERS, we’re experts in roof maintenance and repairs. We carefully and professionally clean wood shakes, asphalt shingles, tile, metal and commercial-style flat roofs. Our state-of-the-art equipment provides a gentle clean that will keep your warranty intact. To talk to an expert about roof maintenance or repair, call (888) 400-1815, or visit www.homemasters.com for details.